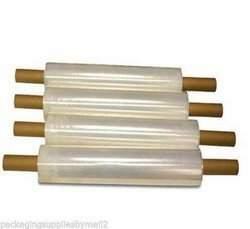 Prominent & leading manufacturer and exporter from Navi Mumbai, we offer Packaging Films such as High Stretch Film, Air Bubble Film, Shrink Film, Machine Grade Stretch Film and Surface Protection Film. The High Stretch Film, manufactured and supplied by us, is known to be one of the finest that is available in the market. Its manufacturing done in accordance with the set industry norms and guidelines, quality of the product never deteriorates. Further, the offered product is widely acclaimed for its strength, finish and durability. We are considered in the market to be one of the leading manufacturers and suppliers of this highly commendable range of Air Bubble Film. 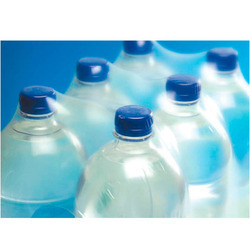 The offered product widely used in the packaging industry is known to be one of the finest in its league. Further, for reasons of maintaining our market reputation, we engage in the using quality raw materials and modern machines, as per industry set norms. 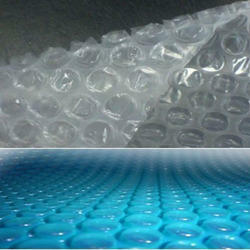 For our profound customers, we have introduced Shrink Film, under the specified array of packaging materials. These films are designed in accordance with the approved industry norms and thus, are offered with the assurance of heat & temperature resistance as well as durability. We have kept our product prices reasonable and brought forward these products in several types such as high shrink force, low shrink force and memory film. We are one of the leading manufacturers, suppliers, exporters and importers of best in class Machine Grade Stretch Film. 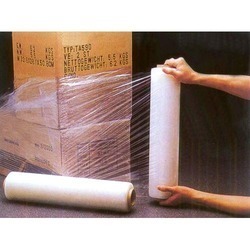 For the purpose of effectively wrapping different smaller pallets manually, these offered stretch films are widely used. We have established and maintained a huge distribution network that is well-connected with different modes of transportation. We hold expertise in offering high quality Surface Protection Film to our valuable customers. 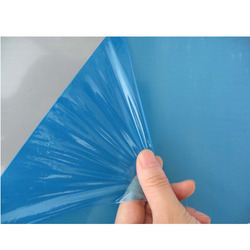 These films are used for protecting various surfaces from scratches. The team of quality controllers keeps strict vigil over the entire manufacturing process to ensure that these processes are carried out in compliance with the industry set norms and regulations.